Apple's new iPad Pro review: It's a blatant Microsoft ripoff. That's not a bad thing. 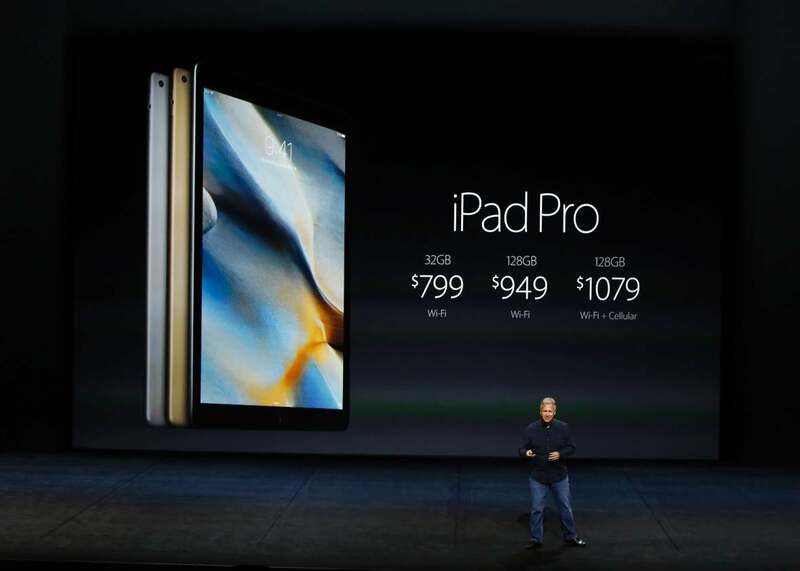 Apple senior vice president of worldwide marketing Phil Schiller speaks at the unveiling of the iPad Pro. Beginning three years ago, Microsoft released a series of tablets whose design and function flew in the face of prevailing wisdom. The Surface, Surface Pro, and their successors were optimized not for entertainment but for work. They came with accessories like kickstands, keyboards, and styluses. They offered split-screen modes for multitasking. They ran Microsoft Office. That was all very different from Apple’s iPad, a sleek luxury device meant for things like reading digital magazines on your couch in the evening or watching movies on airplanes. And because it was different from the iPad, and because the iPad was the acknowledged leader in the tablet category, a lot of people thought the whole idea of the Surface was misguided. I was among them, at least initially. We were wrong. So was Apple. I eventually warmed to the Surface, and gave the Surface Pro 3 a nod as the “best tablet for work” in my 2014 roundup of the year’s best gadgets. Microsoft’s high-end tablets, as I came to appreciate, weren’t really meant to rival the iPad. They were meant to challenge the MacBook, and to give Windows a future beyond the PC. In that respect, they were actually more interesting—and potentially more important—than the iPad, whose sales have plateaued after seemingly filling the rather limited niche at which they were aimed. Now it seems that Apple has come around to Microsoft’s way of thinking, too. On Wednesday, the company announced two new iPads. One was the iPad Mini 4, an incremental offering so uninspiring that it rated barely two sentences in a two-hour-long event. The other—the one Apple was actually excited about—was the iPad Pro. The name isn’t the only thing Apple’s new tablet shares in common with the Microsoft devices that obviously inspired it. The iPad Pro’s screen measures 12.9 inches diagonally, making it far bigger than any tablet Apple has made before—but comparable in size as the 12-inch Microsoft Surface Pro 3. It features a split-screen mode for multitasking and is optimized for productivity apps like Microsoft Office. And its two most notable accessories are—what else?—a keyboard cover and a stylus. Just in case the parallels weren’t clear enough, Apple brought an actual Microsoft executive onstage during the iPad Pro launch Wednesday to demonstrate how well it runs Office. Some Apple aficionados were quick to declare the new device a betrayal of the holy word of Steve Jobs, who once said of rival smartphones, “If you see a stylus, they blew it.” He felt the same about multitasking. The iPad Pro is neither a betrayal of history nor a triumph of innovation. Rather, it’s Apple’s blatant attempt to lay claim to a device category that Microsoft pioneered: the business tablet. That might sound like a bad thing. It isn’t. As Joshua Topolsky pointed out in the New Yorker on Thursday, Apple’s greatest strength has long been the ability to repackage others’ ideas as its own magical inventions. It works for two reasons. One is Apple’s sheer market power: Its loyal customers will salivate over just about anything it tells them to. The other is that Apple puts a tremendous amount of thought and resources into improving upon what has come before. And it usually succeeds. The iPad Pro may borrow a lot of ideas from the Surface, but its operating system is still iOS, with all the ease of use that entails. The Surface Pro 3 is a fine piece of hardware, but the iPad Pro is lighter despite its larger display, and it looks more polished. Which is the superior device remains to be tested, but no one will be surprised if it’s Apple’s. That Apple has reversed itself and followed Microsoft’s lead on tablets might be viewed as a sign of weakness. It comes on the heels of a similar reversal on “phablets,” the oversized smartphone format that Samsung popularized and Apple first rejected and then adopted. But I tend to see Apple’s flexibility in the Tim Cook era as a virtue. What Steve Jobs thought about a given product’s design five or 10 years ago is not a foolproof guide to what works in today’s marketplace. The iPad was built to be an elegant, touch-based device that offered an experience distinct from that of a smartphone or PC. But as smartphones got bigger and PCs lighter, it was getting squeezed from both sides. Its potential had been tapped. Microsoft deserves credit for envisioning a new kind of tablet that would offer all the functionality of a laptop, but with a slimmer profile and a touchscreen. And Apple deserves credit for acknowledging a good idea wherever it finds one—even if that happens to be Redmond, Washington.